Picture credits: brown; Jack Dermid, white; biokids.umich.edu, white no snow; L. Mills. Snowshoe hares can’t keep up with climate change. The rapidly melting snow makes their white winter coats appear embarrassingly out of season. Imagine arriving at a fancy dress party only to realise – it isn’t fancy dress. Maybe it’s how the snowshoe hare feels when the snow disappears too quickly and he’s stuck wearing his white winter coat. Except it isn’t gossiping party-goers that are happy to see the hare’s fashion disaster; it’s hungry lynx and foxes, looking for a meal. Wearing its brilliant white coat, the snowshoe hare is perfectly camouflaged in winter snowfall. In spring the snowshoe will change its fur from white back to brown to blend in with the woodland and conceal it from predators once more. However, human waste gases dumped in the atmosphere are causing the planet to warm. This is leading to snow falling later and melting earlier each year. Researchers from the University of Montana have found that this is leaving the bright white snowshoe hare easily visible against increasingly snowless backgrounds. In the winters of 2010 to 2012, the Northern Rockies saw the heaviest and lightest snow falls for years. This great variation allowed the researchers to see whether the hare could alter the timing of its coat change depending on when the snow arrived and how quickly it melted. Unfortunately for the hare, it showed only minimal ability to adjust the timing of its coat change depending on the timing of snow. The researchers concluded that if the snow seasons keep getting shorter, the hare will stand out more often from its environment. Snowshoe hares rarely survive one year, as they are targeted by a variety of predators. 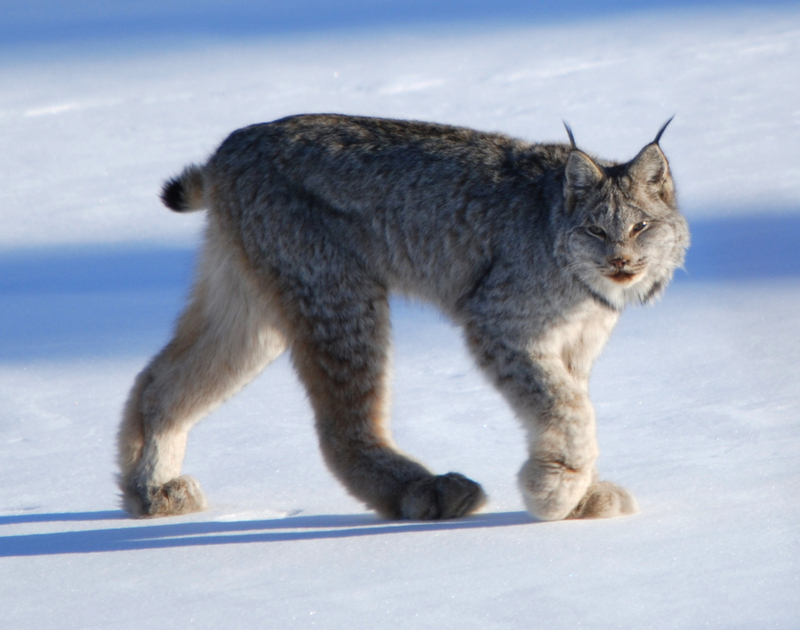 The Canada lynx, threatened in North America, relies on the snowshoe hare for its food. If the snowshoe becomes increasingly visible to predators, the hare might not survive, and this could then damage the populations of lynx. The research has shown that the hare isn’t able to change its behaviour to adapt to the melting snow, and climate change is likely to be too fast for the hare to evolve a coat that is more in season. There are 9 other mammals in the world that put on their white winter coats for when the snow comes in. If we don’t reverse the effects of our warming planet, they may continue to wear their old coats, in new and dangerous climates. Read more: Camouflage mismatch in seasonal coat color due to decreased snow duration Mills, L. S., Zimova, M., Oyler, J., Running, S., Abatzoglou, J. T., & Lukacs, P. M. (2013). Proceedings of the National Academy of Sciences, 110(18), 7360-7365. Wow, I’ve a weblog as well but I can’t write too as you do. Good stuff.